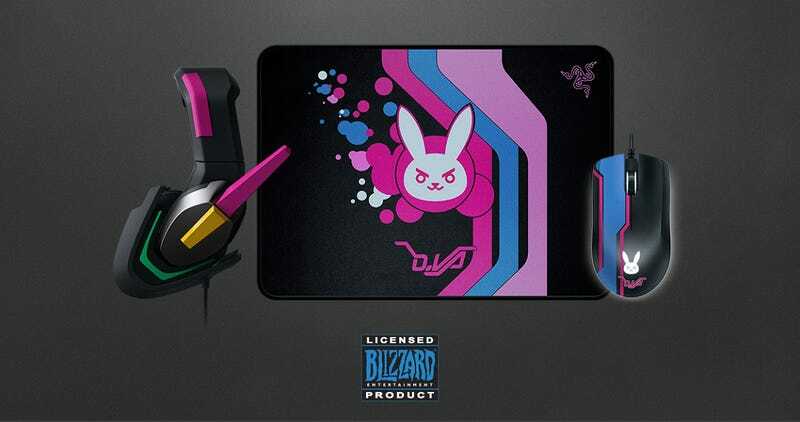 Overwatch’s D.Va gets her own set of gaming gear. Overwatch’s D.Va gets her own set of gaming gear. Razer’s decked out its Abyssus Elite gaming mouse and Goliathus mouse mat in pink, blue and black, and created a new MEKA gaming headset to bring it all together. The mouse and pad are available now, with the headset coming later this year.